So, your papers have expired and are currently in the process of renewing. Maybe you’ve got some time off work, or the school semester is finished and you want to travel outside of Spain to explore the many beautiful countries of Europe. Maybe you want to leave Europe altogether for a few weeks. Whatever the case, you desire to travel while your papers are expired. Even if your papers are going through the renewal process travelling can be tricky – unless you have what is called an Autorización de Regreso. An Autorización de Regreso is a piece of paper that essentially allows you to travel and return to Spain while your papers are still renewing. The document is only valid for 1 return to Spain. So, if you plan to travel back and forth multiple times (outside of Spain) while you are waiting for your papers to renew, you will need to apply multiple times for the Autorización de Regreso. In addition, this document is only valid for a period of 90 days from the date in which it was issued. 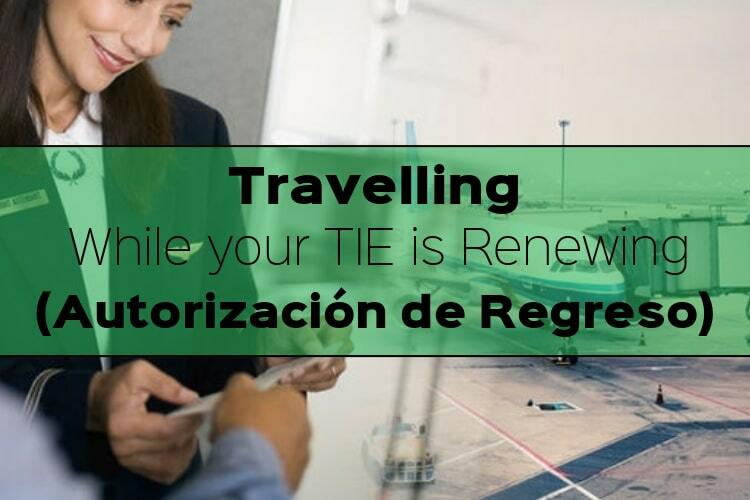 Meaning, if you still haven’t received your new TIE within 3 months and you have plans to travel, you will need to re-apply for another Autorización de Regreso. Do I need it when travelling within Europe? This is where things get hazy. Most people will tell you no, that this document is only necessary if you plan on leaving the Shengen Zone. This is ill advice. Some more strict EU countries might want to check your passport and NIE and might not approve of you entering their countries on expired papers. This means that they might want to see additional proof that you are here legally and that you have permission to leave and travel outside of Spain in your current legal status – this is where the Regreso will help you. If you are leaving the EU you will absolutely need this document! In most cases border controls and airport security between European nations won’t ask you to present the Regreso, but please, don’t take the risk! Take it from me – I was stopped 3 times while travelling through Austria, Hungary and Croatia this year and would not have been able to continue my vacation if it weren’t for the Regreso! As I like to say, take a deep breath and find your inner patience! Follow the steps below and you should have your Regreso in no time! 1) Make an appointment at Avenida de los Poblados 3, Madrid – The same locaton where you originally applied for your NIE. if the only available dates for an appointment are AFTER your departure date, dont freak out! Make the appointment anyway and go to Avenida de los Poblados 3 days prior to your flight with the appointment sheet and proof that your flight leaves before the date of your appointment. They will let you in! You will need to pay the 012 fee (model 790) in the amount of 10,50 Euros (August 2018). Open this document here, choose Madrid and fill out the form with your personal data. Click the section labelled “Autorización de Regreso“, and leave blank IBAN data or chose to pay in cash at any bank. A PDF will be generated in which you will need to print and pay in cash at the nearest bank. Original and copies of the EX-13 form. I have already obtained an ADR while my NIE is currently under renewal. I have travel to Norway in November. My itinerary is Madrid-Zurich-Norway-Zurich-Madrid. I will only stay in the Zurich airport for a few hours as it is just a stopover en route to Norway. My question is if I will be permitted to enter Norway since I know that the Authorizacion de Regreso is a paper permitting my return to Spain. I will go to Belgium in December, but my NIE is renewing,if I fly to Brussels directly, will I have problem? You shouldn’t have an issue. However, please keep in mind that these situations are often a very circumstantial! Brussels may take your not having a current “status” here seriously or they might not! If you have the time and want to be 100% secure during your travels just go and get the regeso. Hello, I live in Madrid and have planned a wonderful trip (Copenhagen_Norway_Stockholm_Finnar_Madrid) at the end of this year, when my N.I.E card is under renewal. But I have heard from my friends and the Internet that the regreso cannot be used in other European countries even schgen countries. Someone als warned me tha the regreso is valid in the route like spain to one schengen countr back to spain, in which way I cannot finish my dreamable trip and have to go back at he very beginning though I have got one regreso. For example , I could not get the boarding pass when I want to check in if the regreso cannotcanno be used between Copenhagen and Bergen Ihave gotten totally confused. Looking forward for your reply. Thank you! The regreso simply tells authorities that your papers are expired, but in process of renewal and that you are legally allowed to return to Spain. Whether you are travelling within the Shengen, to the UK or across the world to North America you are travelling legally because your papers are in process and the regreso is proof of that. I is only meant for one trip and you can only return to Spain once, you can;t travel back and fourth. As long as your travelling within Europe just present your Passport, expired NIE and your regreso paper and no one should have problems with it at all! I travelled through Germany, Austria, Hungary and Croatia this summer with my regreso, but it was one continuous trip. Remember, this is only information from my personal experience, for official information please contact the respective government offices! I’m in Spain on a freelance work visa (Residencia Temporal y Trabajo Cuenta Propia Inicial – 1 Year). Due to the nature of my visa, I was given 3 months from my arrival to “darme el alta” and then a further month from getting el alta to get my TIE “cita toma de huellas”. My problem is that, as part of this project I need to travel to London on Jan 10, for which I would need an autorización de regreso. The earliest appointment available when I went to book (on Nov 30) was Jan 13. I had heard from various people that you could go to the Policia Nacional 4-5 days prior to your trip (with all the accompanying documentation, including proof that you had booked an appoinment) and they could give it to you on the spot. After lining up do to this yesterday (in Madrid) I was told to come back 2 work days (or less) prior to my travel date (effectively Thursday or Friday this week). The problem is that the appointment time I was given for my toma de huella is this Friday at 4pm (by which time it will be too late get the autorización de regreso). I have the booking sheet/justificante for my TIE appointment but obviously not comprobante de toma de huellas. I understand that if the only available regreso appts are for after your departure date you can still go 3 days prior to leaving and they will help you. What if there is an appointment available 4 days before your departure date, so you can go to the appt but you won’t be able to go back to pick it up because it usually takes 10 days to get? Will they expedite it if I show them my itinerary? Please and thank you! If you bring your flight information and show them how soon you are leaving they will give you the regreso right away! Hello, i am not EU member but i approved NIE. My visa will finish at 8.12.2016 and i want o travel until 8.12.2016. So can i enter spain at 8 of december or i need to regreso too? help would be much apreciated !! If the status says Favorable then that means that your NIE has been processed and your application has been accepted! Here in Madrid we have to go and pick up our card from the office where we applied, but in Barcelona I am not sure the procedure. However, in the meantime you can apply for a document called the Autorazacion de Regreso – which allows you to travel outside of Spain (one time) while your papers are processing. I have my NIE already and the expiration date is December 2017. Can I travel outside spain and EU and come back using my NIE+passport? Or should I get an authorization? If you have a valid passport and a valid NIE card you can travel outside the EU. However, If you only have the NIE number and are still waiting to pick up the actual card you will need a Regresso to return to Spain! This is because technically you are still in the “processing” stage and haven’t been 100% confirmed. So the temporary paper they give you is not enough! I’m living in Barcelona my NIE is in process but i need to go to paris i have an Autorization de regresso but some friends told me that it doesn’t work for travelling between EU country. is it right ? The Regresso does work! It’s not really a document for “travelling” around to different countries, its more about the entry into Spain at the end of your trip. Basically It allows for 1 re-entry into Spain while your papers are in process. In fact, because you are travelling within the EU they probably won’t even ask for it – however I suggest you bring it, your temporary NIE paper and your passport just to be safe!!! I have a question – what if I’m going to be outside of Spain for more than 90 days? Do I have to get an autorizacion de regreso? Or would I have to get a new VISA then? I’m just wondering if I come back without a new visa after 90 days if I’ll be able to renew my NIE. Thank you!! So, just to clarify, you are a non-EU right? Because this issue doesn’t really apply to EU citizens, so I just want to make sure. If you are a non-Eu citizen you can only get a regreso if your NIE/TIE is already in the process of renewal. 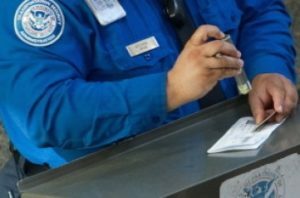 If you don’t apply for a renewal before you leave for 90 days and your NIE/TIE expires while you’re gone for those 3 months, then you will have to return with a new visa (if you plan to then reapply for your new NIE) or return as a tourist (meaning you won’t be able to apply for a new NIE at all). If your NIE/TIE is expiring soon, and you plan to renew it and apply for a regreso, then you must return to Spain before the regreso expires. If you are leaving for 90 days, and your NIE doesn’t expire until after those 90 days, then as long as you return before it DOES expire you can renew after your trip. What if my NIE expires two weeks after my departure here in madrid, should i still need to apply a regreso? I mean, i was planning to go vacation in asia this May , i leave on the 7th of may and will return on the 28th of the same month, and my NIE expires on April 16th, do i need to renew it before leaving and get the regreso? Do they provide you a receipt when you submit the request for residency that then is proof that my NIE is currently in the process of being renewed? I will need to submit my Request for renewal soon, but then have a flight back to the U.S. exactly two weeks after that, so the timing is a little tight. If they give me a receipt, then I can use that in those two weeks to apply for the regresso, but if I have to wait for the approval letter, I might not have enough time. Thank you for your response! 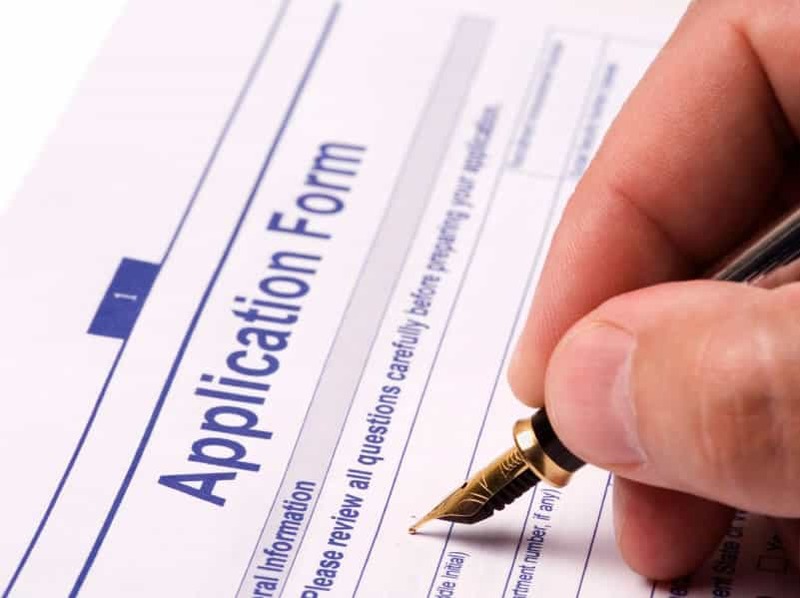 On the day of your appointment you will hand in a renewal application form and a copy of that same form. The attendant at the appointment will return one of those papers to you with a stamp and a sticker on it. The sticker will say the date of your renewal appointment and with count as proof that you are currently in the process of renewal. This is the “receipt” you will need when applying for the regreso. I had nie expired on 02/2017. There was a problem with the first new visa application. I applied for a second visa and now I’m working on it. My nie expiration has passed four months. But I want to travel to south Korea. Can I travel if I get a regreso? If you’ve already handed in your papers to get renewed and they are currently in the process now, you can apply for a regreso! Just remember that a regreso is only valid for 90 days. So you must return from South Korea before that 90 period is over! I have a Modelo 790 for a regreso I paid for in December when my first TIE was being processed. I ended up not using it, because my TIE was ready when I went to Aluche in Madrid. I still have this Modelo, but it’s 6 months old. Any chance it’s still usable for renewal or I need a new one? This will depend completely on the person working that day. So you will have to take the risk to find out! You can apply for the regreso for any reason! Don’t worry. Everything will be fine! Yesterday I gave to the government documents to renew my nie. But I would follow from the internet whether it would be approved. They said it would take 2-3 weeks to see if some document is missed or wrong. It is pending now. I understood, This is not put into renewal. My tie card ends on July 28th. If I take regrosa in 10th of July and go to Turkey, will I have a problem when returning at the end of 2 months? Also Is it necessary to return to Spain if a document is missing when following the web? Or can I come back after two months to solve it? (It is a bit long question, sorry:) and thank you!! The regreso is valid for 90 days i believe. Which means that you can go home for 2 months and return with the regreso with no problem! Just make sure to carry all the paperwork with you that you are currently in the process of renewing (the regreso, the application form with the stamp from the government, etc! previously, they used to put stickers, so now its just the STAMP right? I’m Tanzanian leaving in Spain, lost my passport, so I only got a NIE and planing to travel to Australia with my family. Can travel or enter to Australia with NIE? Without passport. A NIE is not an international form of identification. You will need to go to your embassy and apply for a temporary passport and a new passport! Hi, I am an erasmus mundus student. Last year I have studied in Spain and then went to Italy for 6 months. I am back to Spain to finish the study. Right now I have valid Italian residence permit till September 2017, and also have a valid certificate (validity till September 2017) given by Spanish immigration office. I do not get my Residence permit card of Spain till date, but I have to leave for my country (ie. Bangladesh) next month as I am finishing my study. Can I use the Italian permit to leave Spain? Please note: I do not need to back to Spain as I will finish my study. Hello. NEED YOUR URGENT HELP. Currently I live in Barcelona. Lost my NIE and ask for duplicate. Before that I already booked my vacation to Italy. I requested for A.d.Regresso and now I have it under hand. I am not EU citizen. My worries can I travel to Italy having only my passport and A.d.Regresso (also photo copy of NIE)? I have asked a lot of gov. places here but some say is not possible some say should be no problem. No idea what to do. Unfortunately cannot cancel my flight and hotel booking. how long does it take to get the autorizacion de regreso, for example, my appointment is on the 17th of august, and i have a flight booked for the 20th(on a sunday ), do i get it on the same day, and i have another question, for the renewal of the NIE, i am freaking out, because i didnt get any ‘sticker’ on my paper, the paper just got STAMPED, with the writing, ‘ entrada 24 de julio, 2017…delegacion blah blah blah’..should i worry? please help, as i am doing everything alone. You should receive your regreso right away, so don’t worry there! And yes, with your NIE application form there will be either a stamp or sticker with the date of your appointment proving that you have your papers processing! Hello, I´m a Non-Europe citizen and I would like to ask about the Autorizacion de Regreso. I have already applied one and it´s valid until the 31th of August. According to my flight ticket, I will arrive exactly at that day (19:00 on the 31th of August), can I enter Spain? hello. i want to go to Vietnam while waiting for my NIE to be renewed. theres no flight straight from Spain to Vietnam so i plan to go by Train to Paris and take the flight from Paris to Vietnam with my regreso, is that okay ? Hello everybody , I’m facing a prolem which is about my TIE I’ve applied and gave them all the required papers, after a while they replied back telling me that I need 2 more papers so I gave them those 2 missing ones, now I’m waiting for an answer which hopefelly will be FAVORABLE but when I check through the website it says ARCHIVADO, I would like to know if I still can get the regresso by showing them the paper that they gave me as that m papers are actually on process or not, and as my card will exceed the 90 days in few days and I’m planning to travel in these coming weeks. Hello I am currently in the US and because of the Hurricane my flight got cancelled. So my regreso expired on the day I was supposed to leave. What can I do”? The consulate does not have an appointment time available and they wont see you without an appointment. Hello. I’m non-eu citizen, and i have regreso until October 16. And i have a travel to italy between October 10-16. My first question is can I use the regreso for Italy(because i’m not an EU citizen.)? And it’s expired on 16th so would it be problem if i turn back on the afternoon of 16th? Thank you. Are you able to apply for more than 1 regresso at the same time? In December I am travelling out of the EU two separate times and want to know if I can get both regressos at the same appt… thanks! Hi everybody! I have an urgent question. I am a non-EU student with expired NIE (it expired in May and all this time its been in a «renewing process»). Next week (25-27 Oct) I might need to travel to Amsterdam for 3 days.
! I have Autorización de Regreso valid until 8 of November ! I know that with Regreso I can fly back from The Netherlands to Spain, BUT will I be OK Leaving Spain and entering the Netherlands with only ADR (+my passport and expired NIE)?? Technically, other European Union nations don’t have to accept a Spanish document at their own border. However, it’s very rare that they will even ask to see those documents in the first place. That being said I still suggest bringing as much paperwork with you to back you up there typically is no problem. I would bring your passport, your NIE, the EX-18 form you used to reapply (it should have a stamp), and your regreso. With this stuff you should be completely fine! Hello. Urgent question please. I am currently renewing my TIE and I got an autorizacion de regreso to travel outside the EU. My question is can I enter back to Brussels from my trip for a few days before going back to Spain? will the borders in Belgium accept the ADR into brussels? Thank you! Hey, thanks for this information. I really needed it. The answer to my question might seem a bit obvious, but I am someone who is extra cautious, especially regarding travel documents. My NIE to reside in Spain expires on the 2nd of December and is currently being renewed. I am however traveling out of Spain to return on the 28th of November. You think I should apply for it..or will a paper showing I am currently renewing my document suffice? A paper showing you’re currently renewing your document is not sufficient. Your case the perfect case for the Regreso! I definitely advise you apply for one! Hello. I need an urgent help please. I am non-eu citizen, my wife and I have 3 kids, 2 was born in the Uk and 1 here in Spain. 4 of them British. I have applied for the EU citizen family Temporary Residency card, which as been in process for more then 5 month (EN VIA DE RECURSO). I have to leave Spain urgently to Dubai on the 10th to see my father who is very sick, Flight is booked. My question is, do I need any paper to travel out and will I need any document to return back to Spain? What will happen to my application if I leave ? Kind regards. Hey Abdul! You’re circumstance is quite advanced! I suggest consulting with a lawyer or with the Spanish authorities about your issue if you want to ensure that you get all the proper info you need! Hi Julian. Im my experience the TIE application form is essential for the Regreso. It would be interesting for me to know what happens! If you wouldn’t mind letting us know how your city goes that would be great! Hi, it’s very similar to my situation now, would you mind telling me how your appointment for regreso went? Thanks! CAN ONE GET REGRESO 2TIMES IN A YEAR,I HAVE USED ONE THIS YEAR AND MY NIE IS STILL IN ENVIA DE RECURSO. CAN I APPLY AND GET A FRESH ONE FOR 90DAYS?? Hi, I am from india and already have a NIE but applied for my TIE. The appointment date for it is 10 January 2018 but I plan to travel to London on 25 December 2017 to visit my family. Will that affect my visa application for London or I cannot apply even ? and what documents do I need to provide to get a visa in this situation. Hello! I’m studying in Barcelona and my NIE is currently in the renewal process. I want to travel to Austria for a short vacation and come back, but I keep on seeing on the websites that in order to get the Regreso you need to have a serious reason to leave the country. Like death of a relative or a wedding invitation or whatever. What was your experience with this? Did they ask for the reason you want to leave? This is not true. You do not have to establish a serious reason for your travel. As long as you have proof that you are in the process of renewal and have all the papers required for the appointment you will be fine! I’m not a EU citizen so I don’t have a visa or an EU passport. Only my Spanish TIE (that is currently expired). So the question is, can I travel to a EU country with my expired TIE and the regreso? Because I will have to go through customs upon arrival to any country and I’m afraid that they might not let me in because my card is expired and regreso is a Spanish document that nobody outside Spain recognizes. Hi! My question is, I have not applied for renewal yet, how can I go back to the United States for the winter holidays and apply when I get back to Spain? If your Visa is expired already /will expire while you are back in the States then you will not be granted entry into Spain under the same visa. You will have to apply for another one from home to re-enter or you will enter as a tourist which can not be upgraded or modified from within Spain. I highly suggest trying your best to apply for a renewal ASAP. Can I add a question on top of this one? I’m American and live in Spain on a Student Visa. I applied for my TIE near the end of October, and it wasn’t done processing until mid December. Due to my class schedule, the Extranjería is always closed when I get home. I flew back home to America for the holidays without the TIE in hand. I depart for Spain on January 13th, but with the time zones, I don’t arrive until January 14th. My Student Visa expires on January 13th. I have my TIE application that’s stamped and shows it’s being processed, my housing contract, my Spanish bank documentation, my documentation from my school…everything but a Regreso. Would I be able to enter Spain again with all of the other information, if I explain that I literally just have to go pick up my card? Are there any other alternatives? I need some advice ASAP. yesterday, my NIE got stolen. This weekend I’m traveling to Germany and Switzerland. flights and hotels are already booked. I think I need some documentations other than my Japanese passport. I already went to the police and file the case. but now I am confused. Should I apply to the new NIE first? or the regreso? Hope to get some ideas. My renewal application for TIE/NIE card is still in process at Barcelona for around 2 months which expired on this 15th Dec. and the application was filed on 31st October. I am planning to go out of spain to India from 26th Jan 2018 until 1st March. My question is, if i get the regresso, is there any challenge when i am not here in Barcelona for 1 month and still i can come back showing the regresso? What if i get the favorable situation after i leave Spain and in holidays and is there any timeline to finish the fingerprint at extranjera office? Also, if the application request is paused asking for more documents or denied, still i can come back after my holidays with regresso and then re process? Hi Leah – Happy New Year – I am Dev from India, have been working in Madrid since last 2 years, Hope you can answer below concern. My kid born here in Madrid in September 2017, he has AUTORIZACIÓN DE RESIDENCIA on december 22nd and the NIE number but he is not getting the Card as my Residence permit will be expired in June 19th (validity is less than 6 months), we need to travel to India in the last week of this month, Can we get autorizacion de regreso? I have a related question, I have a current Australian passport and valid NIE to reside in Spain. I am applying for another visa to the UK so have to give in my passport while my application is underway. Am I able to travel to Paris from Madrid just using my NIE? Or should I not risk it? In theory yes, as it’s a residency card for a country in the European Union and it has your photo and details on it. However, Other countries also have the right to ask to see your passport as well as your passport is an internationally recognised document but your TIE is technically a Spanish document.So you have to be careful. I personally have had no issues with just showing my TIE when travelling abroad within Europe! If it’s not stamped then you can use it again! I am from India and currently living in Belgium. I will be moving to Spain with proper Spain visa in this February for long term. I need to travel to India for family reason in end of February from Spain for 2-3 weeks and so I am expecting that during this time my NIE or TIE would not be ready. Can I ask for Regresso and use it for reentry to Spain from India? Hi Good day! Im living here and working but Im from Philippines.I have a few question regarding my NIE card Im planning for a vacation in the Philippines on April 20 2018until May 27 2018then my problem is my NIE CARD will be EXPIRED on JUNE 5 2018?What do i need to do?Do i need to renew this March or April?Any documets that i need to show in the immigration just incase they will hold me ?Or they dont allowed me to come bck to madrid?Do u think they will give me Regreso ?Pls let me know .Thank you! Hello im a pilipina…I just want to ask I have a 2 years temporary residence visa…I want to.go home to Philippines…can I ask how many months do I allowed to stay there with a 2 years temporary residence permit? Thank you for your answer.. Thank you so much for all your help on this board. My situation – Residency card expires in July, I have two trips booked, one for late july (post expiry date) to France and then one to Canada for most of August. As the new card isnt issued until a month after my old one expires (as I understand) I probably wont have it for either trip. I assume I should get the autorizacion de regreso (BTW – I hear I need a good reason to get one, are pre-booked holidays usually accepted as rationale?) before the France trip, hope it’s not stamped on that trip, and use it for the Canada trip if not, and if so, get another. Does that make sense? Hi. Please help. Or any advice would be amazing. I am British and have been in Madrid living since December 17. I need to return to the U.K. for 3 days tomorrow 18/4/17. And I have been really silly as I haven’t sorted my NIe although I’m not working. I’m terrified I maybe declined re entry to Spain on my return. Any help or tips would be great thanks. Thanks for all the help. Quick question: What is the Renewal Receipt? And what does it look like? Hello! I am in my TIE (student residency) renewal process and I need to travel out of the Schengen zone to Ukraine. With my Ukrainian passport I can enter any Schengen zone country without any VISA but only for traveling purposes. My question is: is it necessary to get regreso in my case to be able to return to Spain? P.S. my TIE is a long term student residency, and my passport enables me to enter the Schengen countries without VISA only for traveling purposes; however by the time I come back to Spain, my TIE will have been ready (the only thing is I will have to pick it up, but for that I will have to be allowed to cross the Spanish border when I return to Spain). I would really appreciate any help or advice on my situation!! i am a PhD student , my Visa is 3 month. and my invitation letter is between 10 may to 10 November. i came to Spain in 9 July. the embassy give me Visa with delay. i gone to police office for N.I.E but they told me you cant have N.I.E because your invitation letter will be expired in November, what can i do, if i receipt a new invitation letter is it possible they give me N.I.E?? and if i go to other city for N.I.E they can help me?? because the city which i gone to their is very small. and for my nie renewal process i sent everything through the oficina de extranjeria via post office. the documents have been received that side. Hi there Halil, The regreso is only for “returning” to Spain if you need to travel outside while your NIE is renewing. You will need to wait until your new one arrives. My student visa expires Sept 14 (it says sept 14 on my NIE but on the actual visa it says sept 2 I don’t know why). I am in the process of getting a pareja de hecho with my partner which allows me to live in Spain for five years. We already have that finished paperwork from the Spanish notary but my appointment to update my NIE status with immigration is not until November 15- I could not get it sooner. I am wondering if I should remain in Spain until that November appointment or if I should leave the Schengen Area and go to the U.K. on September 14th and return a few days later on a schengen tourist visa. Basically I don’t know if staying past September 14th will affect my pareja de hecho unfavorably and I will be denied long term status for staying here illegally past my student visa. Please advise this article is so helpful! My question is i came to Africa for a visit with a regresso but it got expired before , can I return to Spain or land in the schengen area before coming down to Spain? I need a very very urgent advice. I had apply for working visa for spain, my athurasion has been approved, but I did not get my docs around one month, after one month when I have papers, consulate don’t agree to give visa, and they said ask Madrid to give new date, Madrid said they never make new date, that paper is ok. Please advice how I can do? I have tourist visa for spain, is it possible to go spain on this visa and apply in police for resident card? Just want to say thank youu!! People like you make others life so much easier! I really appreciate all your help! Need your inputs. Can a resident of Spain apply for a regreso in any office in Spain? For example, I am a NIE resident living in Barcelona. Can I apply for a regreso at the Madrid office? Any experiences please? Hi! I hope you can help me! My NIE is in renewal process and I have my regreso, I am currently in Turkey and my regreso says i am allowed to go back to spain until the 10th of January 2019. The question is, can I enter Hungary (or any other EU country) first-flying directly from Turkey to Hungary with my regreso? Or the regreso only allows you to return to Spain from a non-EU country like Turkey? My plan is going to Hungary from Turkey with my regreso then from Hungary to Spain. Would that be ok? My question is do I need Regreso to tarvel inside Spain??? Unfortunately my NIE will be expire by the end of this month (January), and I already booked a flight to Canari iland for February. After my travel I am going to leave Spain and don’t want to renew my NIE. Hi, hoping someone can help with an advice. My mom obtained an Autorizacion de Regreso to travel from Spain to Canada (she’s not a EU citizen, nor she is a Canadian citizen). Her flight from Madrid to Toronto had a layover in Frankfurt. When she exited the plane in Frankfurt and went through the passport control, the officer said that she violated border laws. She was then taken to a police office in the airport where a protocol was put together laying out charges against her. Her flight back has a layover in Brussels, so we’re concerned that she would have problems there or even refused to check in to her flight. Has anyone had any experience dealing with a similar situation? Any tips?